During a period of angst and instability around the world stemming from political upheaval and the state of the global economy people are searching for that shining light, a beacon of hope for the future that will bring people together. 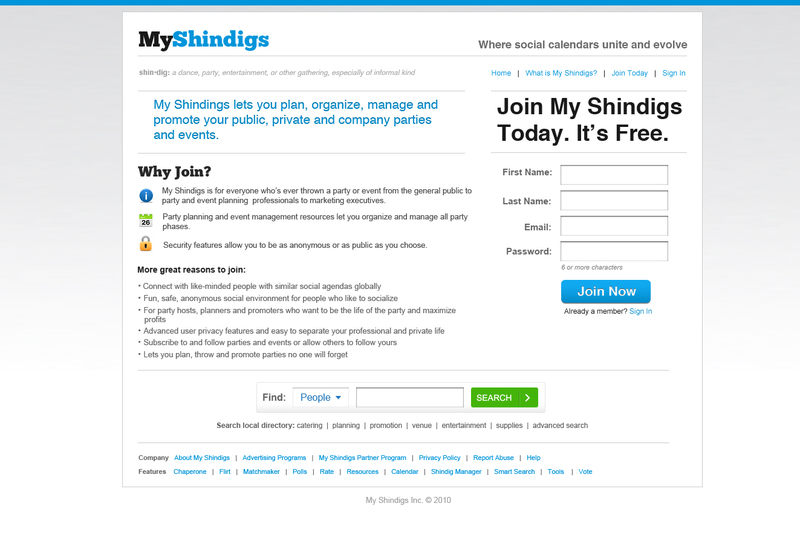 MyShindigs.com is a new and innovative social media website that allows users to interact online with the purpose of socializing offline. It is time to swing the pendulum back and return to the days of social interaction. It is no secret that turbulent times are being felt worldwide. Whether it is the slow pace of economic recovery, high Euro zone unemployment, ongoing violent clashes in Afghanistan and the Middle East, and even protests here at home by distraught youth; it seems that people are in need of a distraction. That distraction away from the depression, unemployment, foreclosures, bankruptcies and shrinking stock portfolios comes in the form of a bold cutting-edge website MyShindigs.com. 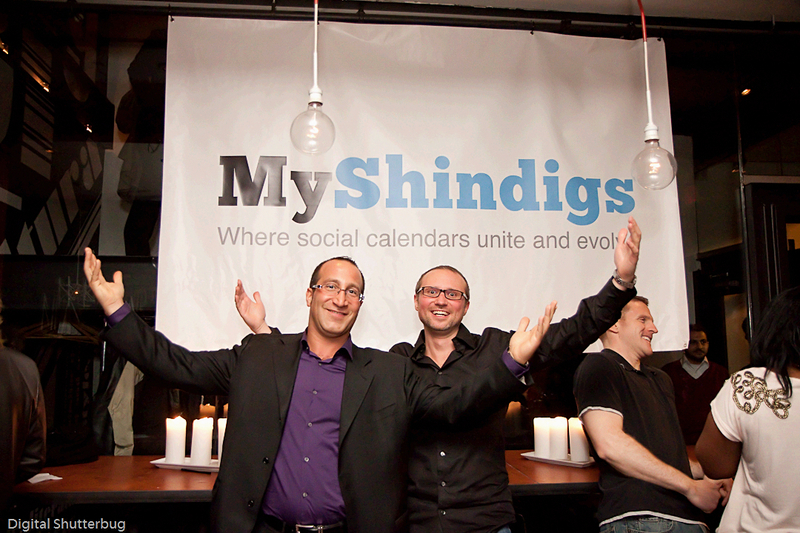 MyShindigs is one of the fresh new faces to enter the social networking landscape that allows users to post information, and publicize and promote upcoming parties and events. As long as these member postings are marked public, the parties can be seen by other local members who are able to select themes of interest and invite themselves to the venue of choice and mingle openly. The most difficult part of the process is dropping the bag of chips, releasing the death grip on the TV remote control, getting off the sofa and out the door to the world of socialization. ‘In creating MyShindigs it was our goal to energize and integrate people of all ages and from all walks of life. Whether the website is used for personal or professional use we want to provide a social software that caters to the needs of members and fosters a sense of community online with the purpose of expanding their social calendars offline.’ say Jason Andrews and Matthew Tautt, co-founders. Once signed up on MyShindigs members may invite their friends using the ‘invite a friend’ feature if they are not signed on as a member yet. Another option is to make new friends by attending one of the publicly posted parties and events in their area. ‘One of the best aspects of these publicly posted parties is that when someone is away from their home town on business or vacation and they wish to source out public parties in the town or city they are visiting, they are able to do so.’ says Jason. ‘One direct example is one of our close friends hosted a Cinco de Mayo party this past weekend and publicly posted the event on the MyShindigs website. Sure enough we had several people visiting the area that took advantage of this online feature. It was great to meet new people and expand our network of friends.’ adds Matthew. Whether the interest is in parties and events around town or a stay-at-home party posting an event can be done in a few easy steps. Invite friends or add their emails if they’re not yet signed up and get started. Other members can search and view local public parties and events and attend. A forum section allows others to post party and party host reviews. As the world of social media begins to evolve these self-proclaimed Kings of Leisure are helping online users to battle back against the doldrums and have become agents of change that represent a paradigm shift in the world of social networking. ‘After a hard days’ work it only makes sense that we as a society remember to set aside some leisure time to have fun and be social with friends new and old’ say Jason and Matthew. The next generation of social media is clearly beginning to take shape as the days of lifeless online profiles are seemingly a thing of the past. It is time to swing the pendulum back the other way to the days of social interaction; MyShindigs.com is one platform which allows a window into the social lives of others and offers a channel for online members to participate in these various social gatherings. MyShindigs is a social networking platform that specializes in allowing members to plan, organize, manage and promote their public, private and company events and parties. MyShindigs allows users to search out, share, follow and join each other's events and parties of interest to expand their social calendar throughout their lives. For more information, visit http://www.myshindigs.com.